Thomas F. Gilbane, Jr. is chairman and chief executive officer of Gilbane, Inc. and chairman of Gilbane Building Company. He is the seventh family member to lead the company since its start in 1873. He is committed to aligning the organization’s strategies and goals in collaboration with the Board of Directors while promoting the company’s continued growth. He is credited with being a driving force behind Gilbane Building Company’s expansion beyond the U.S. domestic market. Mr. Gilbane joined Gilbane Building Company in 1970 and has served in numerous field and office positions. Under his guidance, Gilbane operates with a “one company” philosophy that maximizes the organization’s resources and expertise on projects and business pursuits. His leadership exemplifies strong family culture and values advocating a continued commitment to ensuring the highest standards on safety, ethics and core values. In 2014, he was the recipient of the National Safety Council’s ‘CEOs Who Get It’ that recognized his personal pledge to worker safety and health. 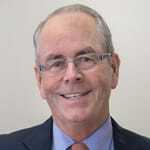 Mr. Gilbane is chairman of the ACE Mentor Program of America and a Babson College trustee. He is a member of the National Academy of Construction and the Construction Industry Round Table (CIRT). A graduate of Harvard Graduate School of Business’ Advanced Management Program, he earned a Master of Science degree from the Massachusetts Institute of Technology (MIT) in civil engineering while majoring in project management. He received a BSBA in Business Management at Babson College and has a certificate in Building Construction from the Rhode Island School of Design. Mr. Gilbane attended Brown University for three years and served six years in the Army National Guard’s Engineer Battalion as a 2nd Lieutenant.